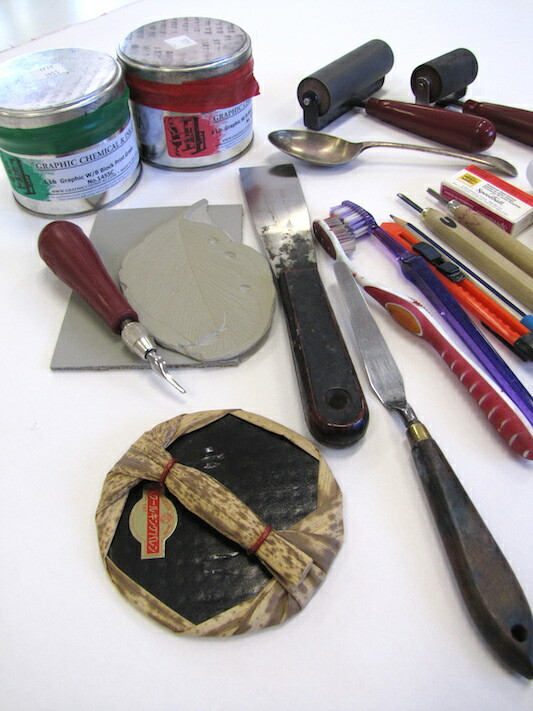 ​The minimum of equipment is required to make your own linocut. Here I will share my techniques, give some hints for beginners, as well as share some links to other printmakers' websites. There are also many challenges involved in printing with the fine Japanese papers, and here I will show some of the results of my experiments. 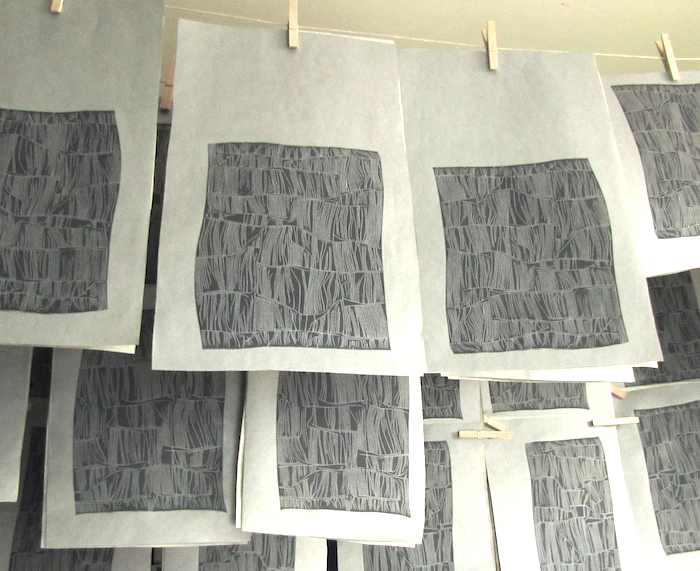 Linocutting is a very democratic style of printmaking. It can be done at home without a printing press, and with simple equipment that is not too expensive to buy. 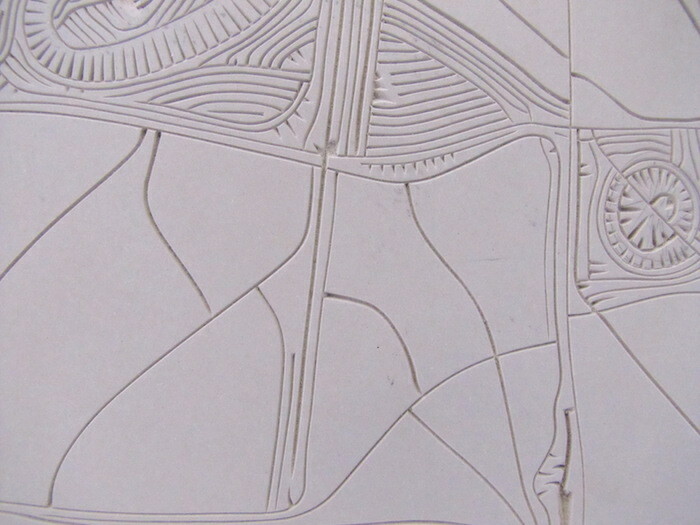 Sandpapering lino before carving is optional, but it does make the surface extra smooth for very fine lines. 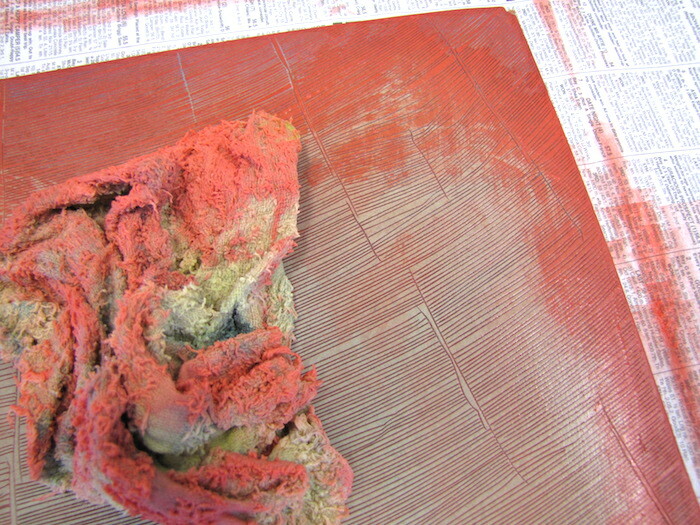 Use wet and dry sandpaper, start with a 220 and perhaps finish off with a 1000. Take a few minutes to work up a good sludge with the sandpaper and water, then clean off, and allow to dry before carving. When carving for the first time it is best to experiment, rather than start with a grand theme, just doodle and see how it goes. Try the different cutters to see how much pressure and control is needed. Try straight lines and curves, try slowing down to join one line to another. 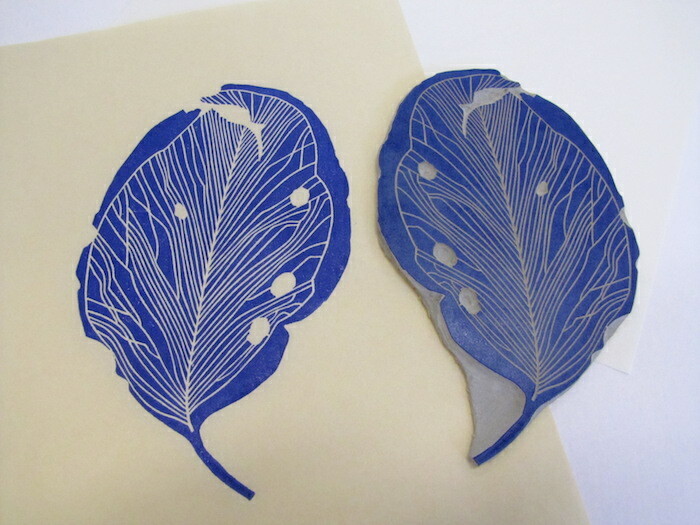 The little pieces of cut lino can be swept away by hand. Finer pieces will get caught in the grooves, these can be swept away with an old toothbrush or paint brush. 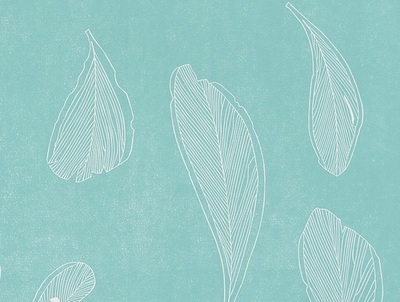 ​When ready to try something more planned and challenging, prepare a drawing on tracing paper. 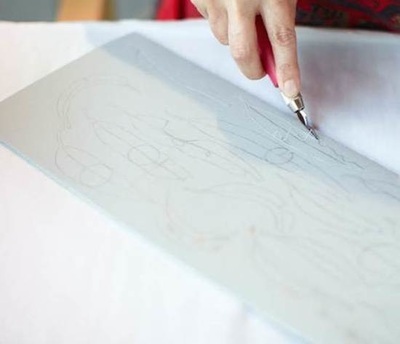 Transfer the drawing onto the block; it will be in reverse on the block, and the right way around when printed (be especially aware of this if using text). 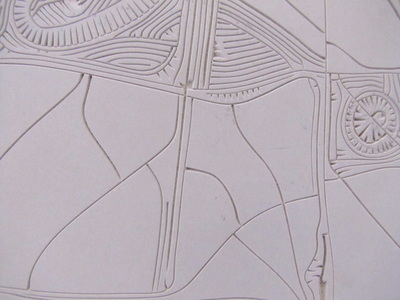 Printing relief blocks can be done by hand, there is no need to purchase an expensive etching press or book press. A simple kitchen spoon will do, or bamboo covered barens are usually available in art supply shops. 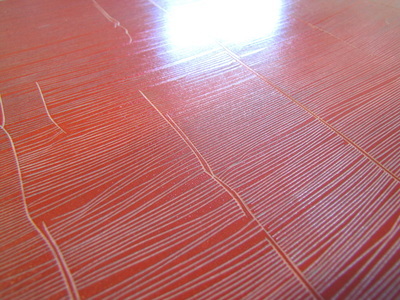 First choose printing paper - hand burnishing is usually easier with more translucent Japanese papers, and there are many available (Awagami Factory in Japan produces some very strong, fine papers, and sample packs are inexpensive). 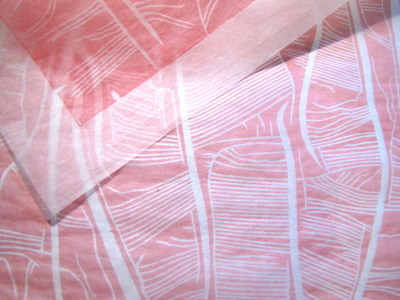 First experiments can easily be done on regular photocopy paper or plain butchers paper. After the paper is ready, the ink needs to be prepared. 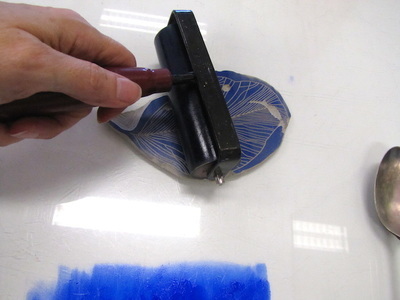 Put a small amount of ink to the edge of your clean glass surface using a pallet knife or narrow paint scraper, move it around for a few minutes to prepare it for rolling. In cooler weather, this step will take a little longer. Once that is done, spread out some ink on the main part of the glass. As for the amount to spread out, this will become easier with experience, but it is best to start with a little and build up, rather than to start with too much. It should make a lovely sticky sound as you roll. Keep rolling until the ink on the glass is very even and smooth. 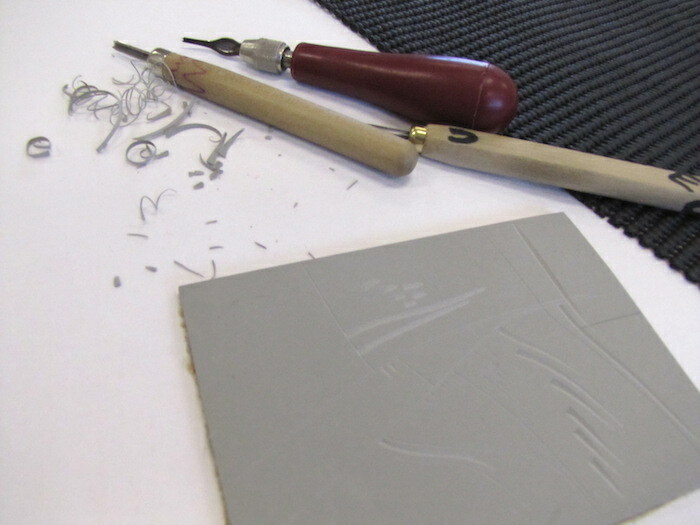 Place your carved lino on some newspaper then roll the inked roller over the block, back and forth, then replenish from the glass. Repeat this process about 6 or 8 times, changing the pattern of rolls to ensure the ink is evenly distributed on the block. The block will glisten with a smooth layer of ink when it is ready to print. The roller can be turned on its back when not in use, and the block should be moved to a clean surface for printing. 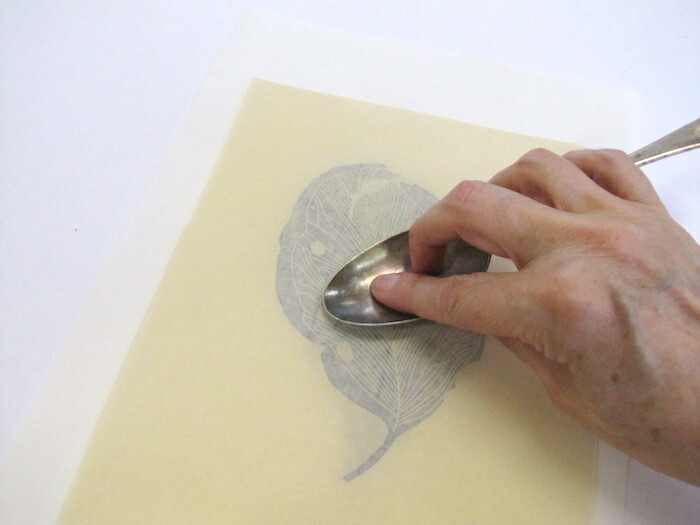 Placing the paper on the inked block is done gently, then carefully smooth it over with the palms of your hands. 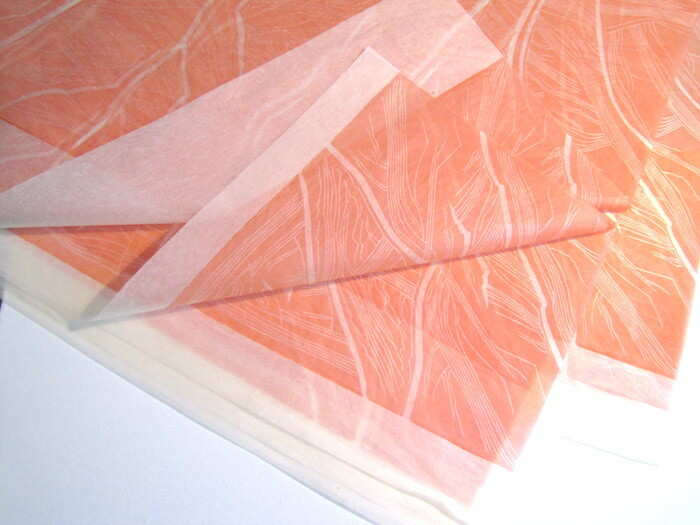 Sometimes a piece of tracing paper or a stiff plastic sheet needs to be placed over the paper, to stop any tearing that may occur during rubbing. Burnishing needs to be delicate but with quite a lot of strong pressure. It is best to follow the direction of the lines, rather than to rub across them. Large areas of colour are hard to print by hand, but it also depends on the intensity of colour you like. When all the image has been burnished, gently lift the paper from one corner, and slowly pull the paper back to reveal the image. Place the block back on its newspaper and roll up again for the next print. 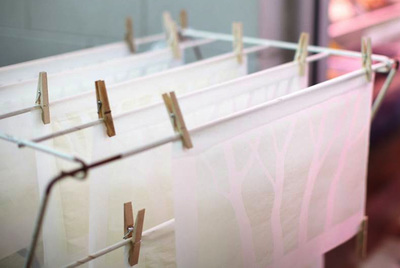 Prints made with water-soluble ink usually take 1 to 2 days to dry, but this can depend on the weather conditions and type of paper. 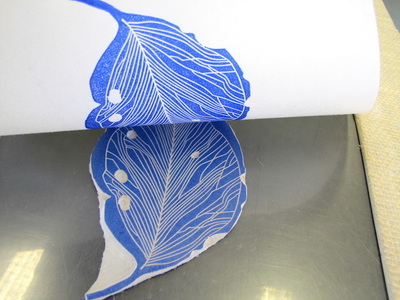 The prints can be left flat on a table or rack, or hung from a drying line. Clean up is with warm water. Place the block on some fresh newspaper, and use a damp (not too wet) rag to wipe off most of the ink. Rinse the rag and wipe again until the colour is no longer evident. You can also use an old toothbrush smeared a little with soap if the ink is catching in the fine lines. 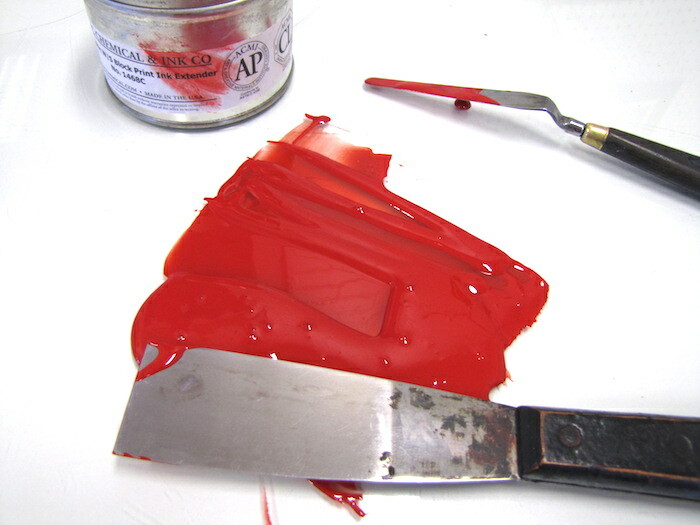 Any leftover ink is removed from the glass, roller and knife in the same way. Be gentle with the roller, as impressions in the rubber will make it difficult to print in the future. If you have access to an etching press, you can use it to print your linocuts. Open-access community printmaking workshops or studios are a great way to meet other printmakers, share ideas and techniques, as well as have access to equipment such as etching presses or proofing presses. 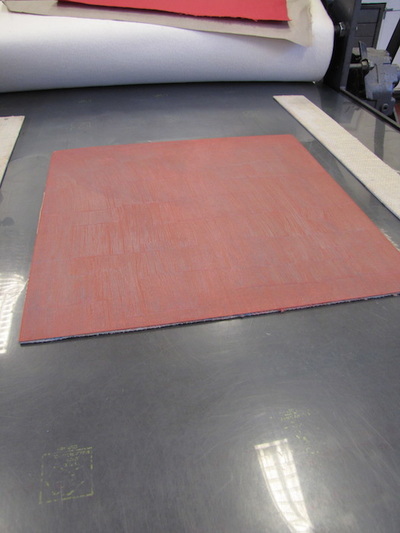 When printing linocuts on an etching press, there is one thing that needs to be considered - paper will slip or move on the block as it runs through the press, so it is best to use some 'rails' along each side of the press bed (pictured below). 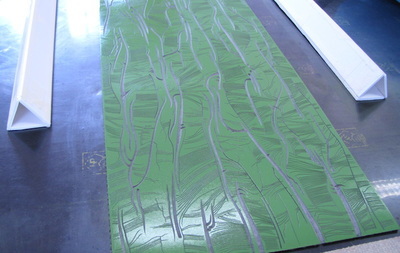 Rails can be made from lino offcuts, or cardboard, as long as it is the same thickness as the lino, and a little longer. 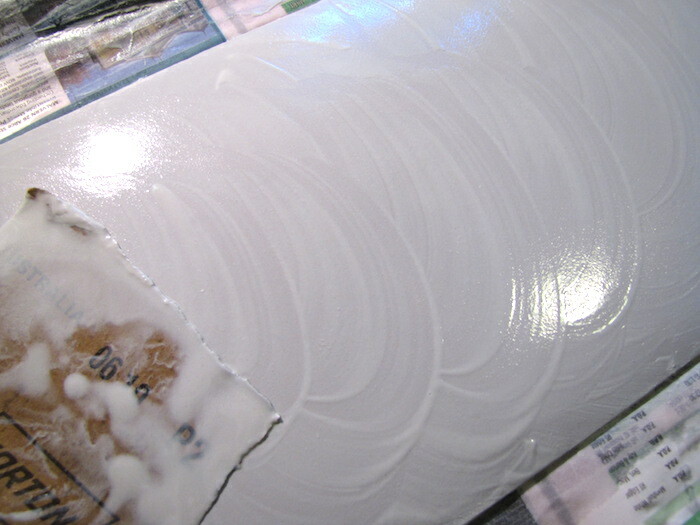 They often need taping down, to avoid them sliding along the press bed. 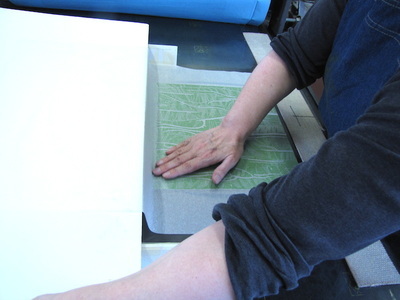 When the block is ready to go through the press, with backing sheets and press blanket on top, it is a good idea to hold your hand gently on the area where the block is, to avoid any slipping, until it has been 'grabbed' by the press roller. 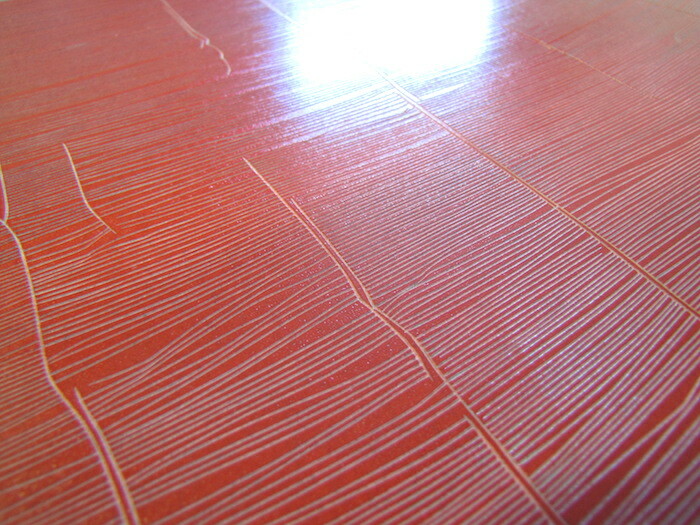 For hand burnishing thinner papers are best, but for printing on an etching press or relief press, thicker papers can be used. 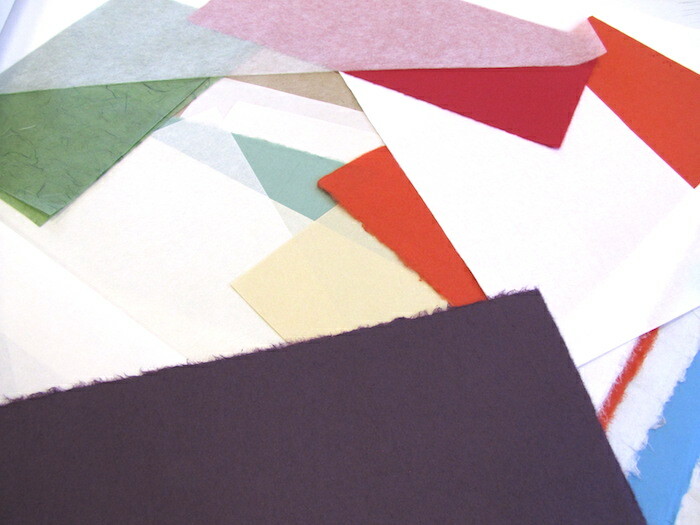 Check out the websites of paper suppliers, or go to your nearest art supply store, there's nothing like feeling a paper before buying it to see if it is what you want. There are also many colours of ink and paper available, there is no need to restrict yourself to black and white. ​I print many of my works on very fine Japanese papers, some as thin as 9gsm. This presents some challenges, least of all getting the large pieces of paper onto the inked block without creasing. Printing with these fine papers also requires greater care when inking up the block, over inking could easily be a problem. It is best to roll up even more gradually, a little at a time. These papers do make hand-burnishing easier, as the paper quickly soaks up the ink, and very little pressure is needed. Some of my works are burnished using just the palms of my hands, lightly rubbed over the paper, to give a soft and stippled printed effect. Large sheets need to be applied to the inked block using an application shelf, see mine pictured below. One can easily be made from lightweight foamcore: triangular supports (5cm high, various lengths) with a foamcore sheet for placing the paper on (the size of this depends on the size of your paper). 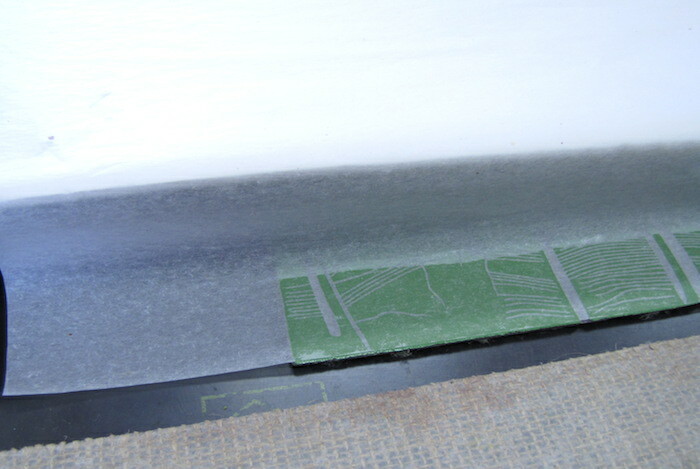 The shelf is placed on the supports, only a few centimetres back from the edge of the lino block, and the paper is gently and evenly pulled down with two hands so that it sticks to the ink. The foamcore shelf can be gradually moved along the supports with one hand, while the other gently moves from side to side along the paper on the block, keeping it smooth and without creases. This can take a little practice, but it does work. Tengucho is easier than the gampi silk tissue, the gampi tends to be a lot more fly-away and prone to buckle. 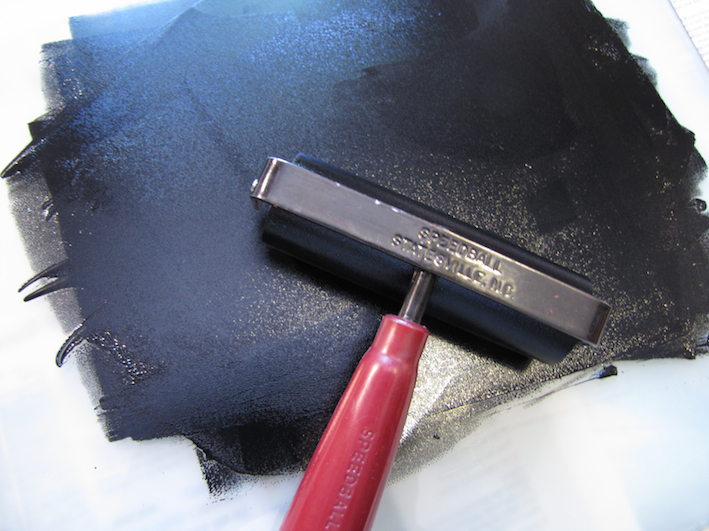 It is best to use a 'backing sheet' to protect the print and the etching press blanket, as the ink will soak straight through the paper. Paper will also need to be protected on the drying rack, if using a horizontal one, by placing a sheet of stronger paper underneath the tissue. 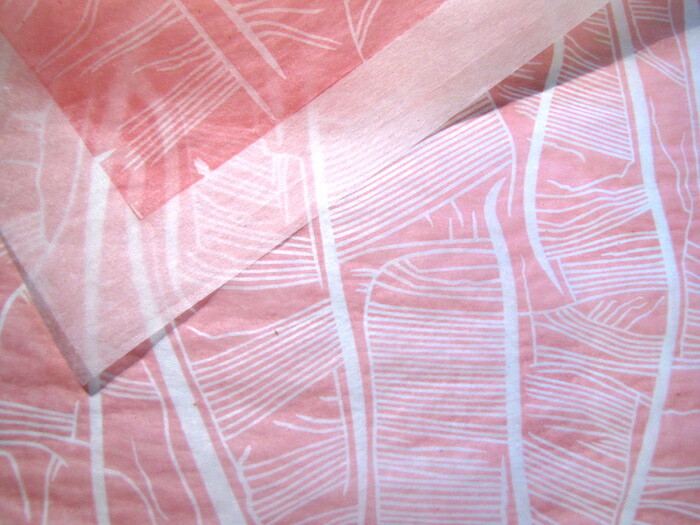 It is also fun to experiment with translucent ink, and perhaps adding more layers of tissue paper. Most ink makers produce an extender medium to make your ink more translucent.